Today I want to hear the ways each of you has found to organize your recipes! As you all know, I am a recipe nut. A full fledged recipe guru. Recipes are my thing. I love them. I collect them. I invent them. I dream about them. And often these recipes include butter. This cannot be helped. You guys do not want to see my recipe cabinet. So today, my friends, we’re going to talk about the easiest way to organize recipes. It’s high time I found a system. My messy cabinet pile is no longer working. It never worked. So let’s talk about how to organize your recipes! I’m sure you’re eager to learn about this subject from someone who clearly has no clue. Come closer, my friends. I’ll teach you everything I don’t know. As I’ve searched for a system, these are the new tricks that are working best for me at this point. If the recipes are cut from magazines, torn from a book, or printed off the computer, slide them all safely inside a large manila folder or envelope. Invest in a binder. This is my best idea so far. I came across this DIY Recipe Binder idea online and I don’t know why I never thought of it before! It’s way too simple, and turns my messy cabinet into a nicely organized recipe haven. DIY Recipe Binder – FREE Printables!! I spent a little time creating these lovely binder pages to help me become more organized. I like them so much I decided to share them with you! Not only can all of our recipes be in one place, we can put them all into one organized (and fun!) 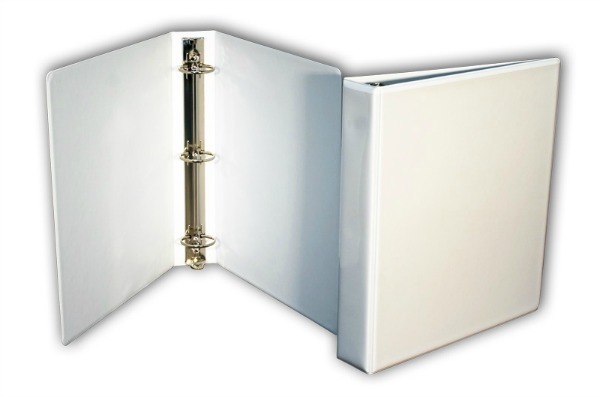 binder. 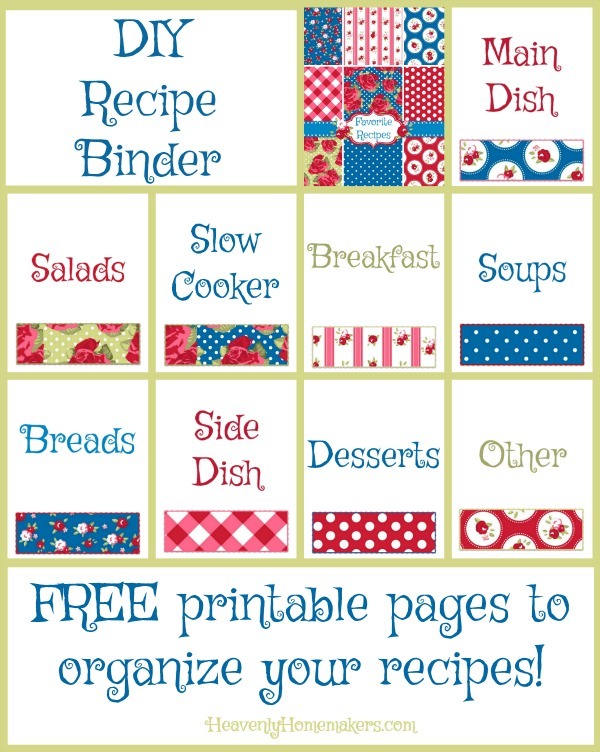 Print each of the Recipe Binder pages you will use. Use a 3-hole punch to prepare them for a 3-ring binder. As you print recipes from the computer, add them to your binder within the fitting category. If you have small recipe cards, recipes cut from magazines, etc, re-write them on 8.5×11 inch paper so that they fit your binder. Or slide them into a plastic sleeve that fits in a 3-ring binder. And that, my friends, is how we’re going to get our recipes organized once and for all! 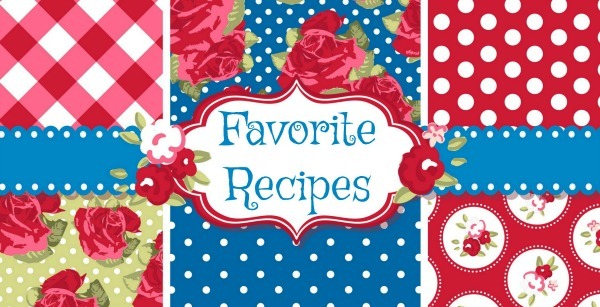 Get your FREE DIY Recipe Binder pages here. What ways have you found to organize your recipes?